January over at Creative Misfits saw challenges to make Scrapkits and word art, with a theme of Valentines/Love and Winter. Here are the previews of the items I made. If you want to download these, you can go over to the Creative Misfits Blog and download them from there. With the return of Pretty Little Liars to our screens for series 6B, I was inspired to make some tag templates inspired by the theme song "Secret" by "The Pierces". There are three templates in the folder. I would love to see the results of your tags made using my templates. 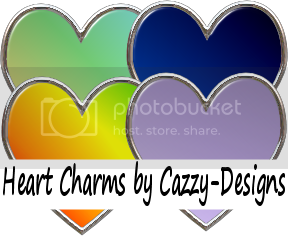 You can drop them in an email to me at Cazzy.Designs[AT]gmail.com. Here is a preview of the result of the tutorial. 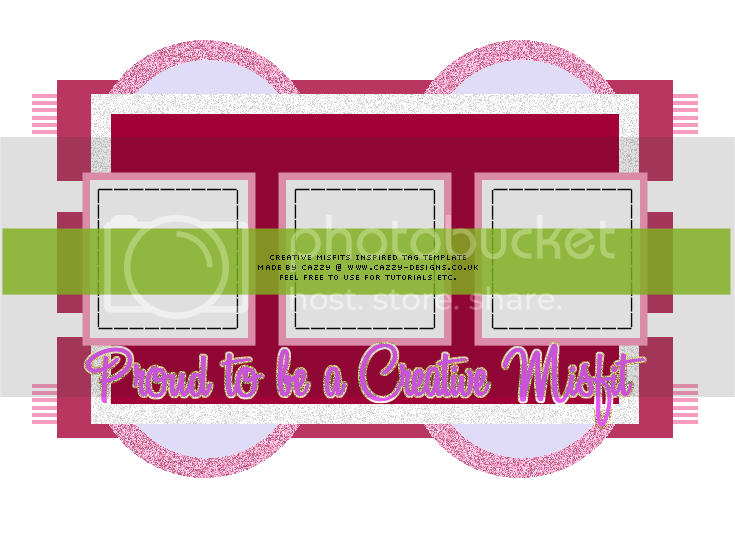 In recognition of the lovely mods over at Creative Misfits I have made my first ever template. Feel free to use this for tutorials, but please link back to this blog so people can download directly. You can download this - HERE but please, leave some love in the shoutbox. Just thought I would upload and share some old freebies that I made a few years back. Hopefully you can all find a use for them. Also available for download from my very small archives today, is the gradient flower elements that I made a few years ago. There will be some more downloads added from my archives soon. ♥ © Cazzy-Designs ♥. Powered by Blogger.